TIMESHARE king Garry Leigh has been killed in a cycling accident. The timeshare boss – who has frequently been in trouble with the authorities – was run over on a leisurely Saturday cycle. 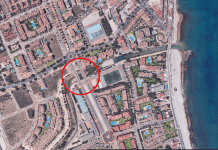 Leigh, who conned thousands of people out of their fortunes, died on the spot while cycling on the A-7 in Marbella. 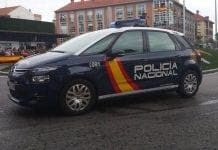 Police confirmed a 47-year-old man died of a severe cardiac arrest after he was run-over near El Corte Inglés at 9.15am. The accident caused six kilometre tailbacks with many day-trippers stuck in traffic which took until 4pm to clear. Leigh – the brother-in-law of Costa killer Tony King – had long been involved in a variety of timeshare related scams. One of his companies The Incentive Leisure Group was recently raided for “breaches of consumer law”. A seasoned fraudster – who started his crime career launching pyramid schemes – he was also fined £29,000 at Reading Magistrates in 2009. Incentive Leisure was found guilty of 11 counts of fraud. Another company Timelinx became infamous when a pair of hooded attackers broke in and slashed Leigh in a broad daylight attack in 2002. After the assault Leigh had plastic surgery and was forced to hire a bodyguard. The company will now be run by new CEO Kim Bambroffe. Sources say Leigh´s colleagues were in crisis talks this week to sort out how to divide the company. “The team met on Monday morning to try and sort things out,” said Sandy Grey from the Timsehare Consumers Association. A multimillionaire, who lived in Mijas, Leigh donated thousands to good causes every year. Cycling groups meanwhile insisted that the accident demonstrates the dangers of cycling on main roads in Málaga. Alonso González, president of Ruedas Redondas said cycling on the coast is “virtually impossible” as cars drive at 100 km per hour and there are no pavements. Does anyone know why cyclists and joggers always use the main roads ? The whole of Spain is criss-crossed with the most wonderful network of back lanes, cañadas reales, bridlepaths, vias verdes, vias pecuarias, and paths alongside railway lines. Is it a case of fitness training not working unless someone sees you doing it ? Yes of course he was. A plane hit the Pentagon too. lol. Your malicious slander about Garry has been addressed previously, so I will not be baited to stoop to the level of gossips such as yourselves. What I will say is that Garry was truly one of the most generous men I have ever met. He was also one of the smartest. He treated all of his staff as family and he will be missed and remembered by many. May he rest in peace. And may you gossips go to hell. I think you’ll find it is either ‘Clock stops’ or ‘Time runs out’. So much for a very poor headline to a badly written article full of inaccuracy and hearsay. Anyway, enough, what we knew of Garry was generosity and enthusiasm for life. It’s a shame that you have to sensationalise his passing to get a cheap headline. OP… How about some respect for his friends and family? I think you have no respect what so ever! He was the most generous man I have seen. There will be no one like him ever! He had a massive heart! You should leave him alone & get a life! I have never witnessed such a foul piece of journalism. You are talking about a human-being whose sole contact with this world is now through his family and friends, who are still very much alive and grieving. How you can be so disrespectful as to do this I cannot say. Garry has not even been buried yet, so closure for his loved one’s is still a short, but painful, time away – but you continue to spit your foul venom. One thing’s for sure though; it does sell newspapers doesn’t it? So if Garry was the conman you say he was (I know different) for making money out of holiday makers, what does that make you for making money out of someone’s death? Oh sorry, it’s not the first time you’ve done it is it? Rest in peace Garry, you will now remain for eternity in the Theatre of Dreams for the Immortal. I am married to one of Gary’s cousins, he is a firefighter in the UK and unlike yourself is truthful and honest! I do not need to point out to you your obvious lies! You are well aware of how many inacurracies there are in your article. I only met Garry once and I must say he was a totally sincere gent. Please feel free to attempt to drag yourself up to the stature that Garry managed. You constantly deride Garry in your rag! However please explain why you feel superior to a man that you say lies,cheats and cons when your poor attempts at journelism (which I assume you charge for) is full of lies, could I suggest that you are cheating people and conning them into parting with their hard earned money under false pretences that what you print is the truth, and not some vendetta against a man that always managed to turn you a funny shade of green! Congratulations to the OP for possibly the most innuendo-laden piece of journalism I have ever had the misfortune to read. As usual, inaccuracies, unnamed “sources” etc and the completely impartial (ummm…..maybe not) Mr Grey are wheeled out for a final roll of the dice against Garry Leigh. The smart, entertaining, generous man whose enthusiasm for life was an example to us all will obviously just have to live on in the memories of his family, friends and colleagues as I doubt it will ever rate a mention in your paper. Oh, and never mind that there are many people who are grieving for Garry who may find this article upsetting and/or downright offensive – I mean, they don’t sell papers do they? Not at all a “pretty balanced” article, Julie. E.g; “conned thousands”; I believe the figure was 11 and he wasn’t “found guilty”. His company’s lawyers admitted to 11 counts when they found that certain self-employed sales people were in violation of company policy and BTW everyone of those people had their money refunded long before the case came forward. “Brother in law of Costa killer Tony King”. No, and the Olive was set straight on this the last time they printed this smear. “A seasoned fraudster…pyramid schemes..” Garry was never convicted of anything of the kind. Jealous gossips, sensationalist journalism and a basement publication written by people who are wasting air space which could be occupied by decent human beings. When Garry walked into any room or any environment the whole place just lit up. Positive Energy literally radiated off the man. In all the years I knew him I was astounded at how often he was hounded and attacked – regardless of how cutting, unfounded or malicious the comments – I never saw him bad mouth his persecutors or lose his cool over them. Sure he would defend himself, but only in the quest of establishing the truth! Now that he’s departed this mortal coil, there will no doubt be a long line of life’s failures forming in order to slander and ridicule his legacy. Take a long hard look in the mirror before you cast such comments, maybe you should look deep inside yourself and address your on short-comings or failures. Perhaps that’s how you judge the real measure of the man? I for one will celebrate the life of a true friend today, because I genuinely know that’s what he would have wished and wanted me to do. A small man physically, but one with a huge heart and a constant smile that still shines through, even in these darkest of times. A vibrant and dynamic businessman who didn’t just dream, but stayed awake to turn dreams into reality! The more negative the comments, the more I feel my own resolve building to protect his legacy. So keep on with the pointless innuendos and comments, they will provide some much needed fuel to turn a negative into a positive. I personally witnessed his actions when an airline was declared insolvent. His legal advisers informed him he was not liable for his members return flights home. What did he do? Shelled out tens of thousands of pounds to get them safely home. And why did he do it? Because, as he stated at the time, it was the right thing to do! Some conman, I ask you? What a tragic accident – you do feel for his family. But why was he cycling on the A7? It’s a dangerous road on four wheels – let alone two. Is it a fair article? I was intrigued to find out more after reading some of the comments about ‘malicious slander’ and ‘the most innuendo-laden piece of journalism’ above. Garry was described in the report as ‘timeshare king’. There was nice testimonial from his colleagues – and there was mention of his generous charitable donations. However, if you search for ‘Garry Leigh’ on Google, as I’ve just done – you do get another side to the coin which the Olive Press has reported on. You’ll find links to articles from the Guardian, BBC and Daily Mirror etc as well as timeshare forums who report on ‘timeshare rip offs’, ‘holiday hell’ and more. You’ll also find coverage of the various court cases and the Office of Fair Trading raid. After sifting through the info I thought it was a pretty balanced article given the background that’s available for all to read online. I agree with Gary Simon on very comment he made. I have worked for Gary and the only thing on my mind at the moment is the thoughts of his family at this tragic time in their lives.I knew Gary as a totally committed business man and a devoted family man. He made sure that every single person who worked for him felt as important as anyone else in the company.He was above all generous and had an aura about him that I can not explain.He made me and all his staff feel a sense of belonging.He will be very sadly missed by many many people. My deepest sympathy to all his family.My thoughts are with you Kim. Living in Spain, like most Brits the only job I could get was a job as a timeshare market researcher…. the low end paid job at compare your timeshare…Not really a job I wanted but at least I earned a basic wage, providing i got my quota of 100 which was most of my rent money. (At first)..coming up to christmas data got bad, things got bad and our money was cut in half and then paid by per survey..no basic any more, I managed to earn around 45 euros a week…YES thats all, not enough for rent or food… With two children and christmas looming and not earning enough I was getting very upset, plus of course people we phoned were agressive too. After 2 days of solid phoning and 3 hours earning only around 10 euros and the telephones not working properly, and in tears I thought it best I went home and hoped that the next day the data would be better (we had been promised this for days) As I left I saw my boss…yes Garry Leigh, and explained why i was going home and said I would be in next day…. As I walked in my apartment the phone was ringing…I was told DONT BOTHER COMING BACK… Yes I was sacked…RIGHT AT CHRISTMAS… No generosity there, no feelings for my two children not having a christmas… Nothing…. He seems just good to be true from these comments from his mates and employers doesn’t he! He might have been kind and generous in the eyes of some but its a sentiment not shared by hundreds of people who put their trust in him and his cash back scheme.It was supposed to be a salvation for the elderly sick and redundant people who could no longer afford the luxury of keeping a timeshare not a massive well thought out scam. Our deepest condolences for all his family and friends,you will be missed in our world. It has taken me some time to come across this article and i am in no way surprised by this submission. I worked for Gary Peter Leigh for around 5 year at not one point did we see eye to eye infact I am never sure the guy ever liked me, but let me tell you his inspiration gave me the encouragement to move to the other side of the world, this article is placed by people who envy him, if used correctly the system worked, it was a day in history when we lost Gary, I agree he went about things in a northern way but chuck his spirit in to coca cola and pepsi would not exist. I hope timelinx will survive and the old team stay together and one day we all end up in lolls hopefully not paying off garys tab!!!!!! Keep life and the news as real as possible if we believe everything we read we may never leave the house nor the countries we were born In we have all made mistakes but we are all accountable for our actions……..smile every day because your alive !!! 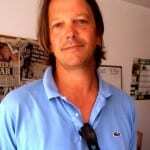 Just google his name – you will see that he has ripped off loads of people.Shame on those of you posting here who have lined your pockets at the expense of those taken in by timeshare scams. Told to post by your employer to stick up for a conman? 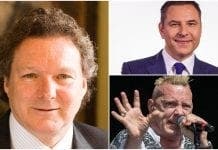 Good old Gary could afford to donate to charity when he made millions off the back of other peoples misery. It is very easy to be nice and wonderful and light up rooms if you are a millionaire. It is amazing how many ‘friends’ you have and how many people think you are wonderful. Funny how money talks. However, when you get this money by fraudulent means then this is the issue. It is not about his personality but about what he did to others. Robin hood was still a thief in the eyes of the law. If other people have to suffer so you can ‘treat’ family and friends then surely this is wrong. He was convicted of fraud which means he obtained money by illegal means. So family and friends, be honest and accept that those drinks he bought you and those treats he gave you came from illegally obtained money and someone had to suffer to pay for it. Harsh……..but fair! I’ve only just heard about his death. For once you actually hear about someone getting what they so richly deserve.I do not feel sorry for anybody who knew him and may be grieving…….their lives were made easy from the money he conned out of HARD working people who had been made desperate by other unscrupulous timeshare sharks and just wanted to be released from the horrendous burden of their initial mistake. He had 9k from us.That entitles us to feel that the world is a much better place now without him. Seems as though his millions didn’t help him in the end after all? So, Mrs. Laughing, you feel he deserved death over your 9k. You’d kill somebody for 9k? I think I know who’s going to burn in Hell. He’s no longer here so you could stop trying to impress him and do what we have all done………GET A LIFE. Anyway, great though it’s been having these lovely chats with you, I do not intend to visit again as you and he bore me. I have had the last word though and that is rather pleasing. Mrs Laughing, I really do not think you comment was worthy, regardless of what he did he was still a father, husband, son etc.. Yes his family are rich from what he did, I unfortunately worked for him til he sacked me and even though I hated him for that dont feel that his untimely death deserves all the nasty comments he gets. He was however a very generous man …Yes because he made thousands ‘illegally’ BUT nooone forces anyone to part with their money… the reason we part with it is because WE are greedy…. comeon you dont get something for nothing in this world. Ok he did …..
BUT…… my only grudge against him was the fact he sacked me at christmas leaving my family without anything … what i earned in spain did not even cover my rent but i struggled, trying to supposrt both my husband and our two children… from that christmas our lives changed dramatically, though not as Gary’s … Yesa his family inherited all his thousands of euro’s/£ and still (as far as i know own the company …maybe conning millions out of greedy people …. only today I realised he died on my sons birthday … not that that matters but obviously i will remember in future. Who the hell is mrs. Laughing!?!?! Must be a very very sad person!!! You cant talk about what you don’t know!!! U should get a life yourself! Gary Leigh was NOT ILEGAL people shouldn’t be that stupid to buy timeshare in the first place and if so READ THE SMALL WRITING!!!! Nobody cares about what you saying anyways it is what it is! We always love him and respect him LIKE IT OR NOT cause he is an will be an extraordinary person not like YOU!! Must also say he was convicted for fraud because of his sales team as money can make people gready, leading them to say & do things they shouldnt!!! You should also take a note of how how many accusations he had and how many he was found guilty of……………. speaks for itself!!! Ahh, the old blame it on the Sales Staff routine eh? Kinda says it all about how good he was at what he did…..still, nobody deserves to die and certainly not like that. Feel for the family even now, children should always have a Father regardless of his behaviour or standing. Anyone who states they are glad anybody is dead needs to take a long hard look in the mirror. If Garry Leigh were still alive today he would hopefully be in prison somewhere, the man was a convicted conman and treated most of those around him with the same contempt he had for his “customers”. The only legacy he left is a miserable one, with thousands of people still out of pocket thanks to the scams he callously orchestrated. Unfortunately there seems to be no end to this as it seems to be continuing thanks to the actions of his erstwhile partners. Kimberly Bambroffe inherited most of his empire, which promptly collapsed around her, or she just took the money and ran. Keith Stuart Barker, Mr Leigh’s No.2, is still trying to make members of their wretched holiday clubs pay their annual fee. An annual fee to a company which no longer exists, which no longer has a service provider, which will very soon disappear. Both of these horrible people deserve their comeuppance, perhaps not so brutally as the one which befell Garry Leigh, but they should not be permitted to walk away scot-free.